The S-curve is a fundamental pattern that exists in many systems that have positive feedback loops and constraints. The curve speeds up due to the positive feedback loop, then slows down due to the constraints. When the constraint is broken, the positive feedback loop ramps back up, until it hits another constraint. The positive feedback loop in this case is word of mouth, and the constraints represent fundamental barriers to certain market segments or growth such as simplicity, usability, scalability, price, etc. This creates smaller s-curves around adoption among specific market segments, and larger s-curves that represent the overall market penetration of the idea, practice, or technology. In addition to Diffusion S-curves in technology, ideas, and practices, there are Evolution S-Curves. These represent the increase in the traits of these ideas that make them usable in more situations and desirable for more people. 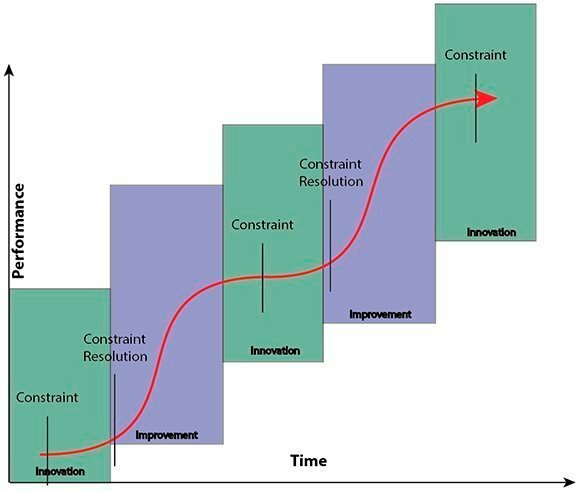 When you break through a constraint in one of these properties through innovation, this can often coincide with "unlocking" a new diffusion curve by opening up a new market that wouldn&apos;t previously have used your technology or idea. In this case the positive feedback loop is the increased understanding and expertise that comes from diffusion of a new innovation in your idea or technology, and the constraint represents fundamental assumptions in the idea, practice, or technology that must be changed through another innovation to make the idea, practice, or technology more desirable. In the example below the desirable property is hardware speed. Fundamental leaps are made to break through a speed constraint, and then iterated on through the positive feedback loop of information and expertise increasing from adoption. 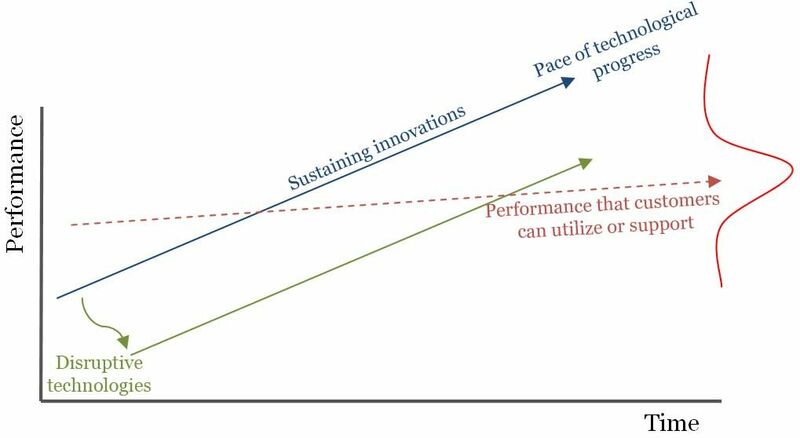 This hits diminishing returns as the new innovation is optimized, and then a new fundamental innovation is needed to overcome the next constraint. Sometimes, people get confused and call S-curves exponential growth. This isn&apos;t necessarily wrong but it can confuse their thinking. They forget that constraints exist and think that there will be exponential growth forever. When slowdowns happen, they think that it&apos;s the end of the growth - instead of considering that it may simply be another constraint and the start of another S-Curve. Knowledge of Overlapping S-Curves can help you model these situations in a more sophisticated way. S-curves become quite useful when paired with an understanding of evolutionary patterns. They can allow you to see in a broad sense what&apos;s coming next for an idea, practice or technology. They can prevent surprises and give you a tool to stay ahead of changes. There are patterns that exist for both diffusion and evolution S-curves. Diffusion patterns describe common themes that happen as trends diffuse through a population. They apply on the micro-level to individual population-segments, and on a macro-level to the overall population. 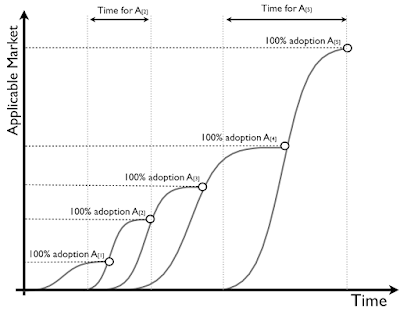 The diffusion of innovation describes 5 separate stages of a diffusion curve: Innovators, Early Adopters,Early Majority, Late Majority, and Laggards. By understanding the traits of each of these groups, you can get a broad idea of what to expect, and how to slow or speed up adoption. 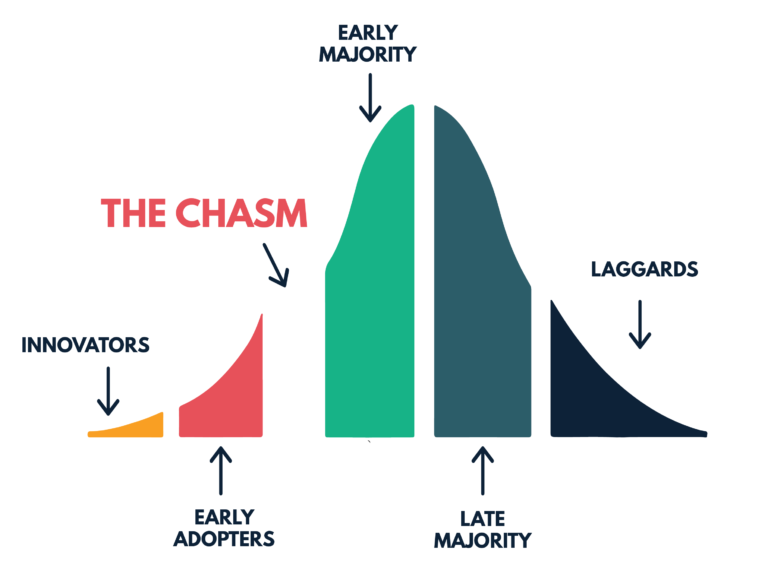 The Chasm describes a common constraint that occurs in a market segment between "early adopters" - who are willing to put up with a lot, and "early majority", who expect a lot. There is often a number of evolutionary constraints that must be broken through to bridge this single diffusion constraint and many new ideas, practices, and technologies get stuck in the chasm for that reason. Evolution patterns describe common ways that innovations evolve over time to become increasingly desirable. They apply on the micro-level to individual innovations within a trend, and on a macro-level to the evolution of trend as a whole. 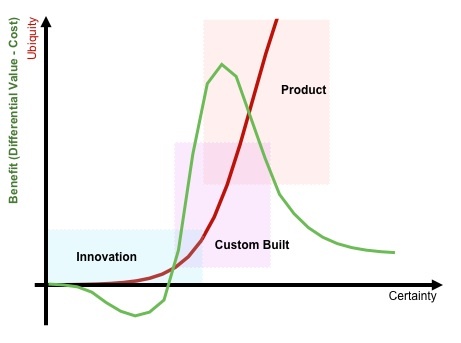 Innovations tend to go through four stages - the initial prototype, custom built versions, productized versions that compete, than comoditized versions that are all basically the same. By understanding where you are, you can understand the type of competition likely to happen, the types of processes likely to yield improvements, and large changes that will be needed to stick with the market. Innovations tend to start out relatively simple as a new approach to a problem. They become increasingly complex to cover more use cases and be more robust, and then become simple again as refinements are made and they&apos;re distilled to their essence. Sometimes, innovations overshoot the mainstream populations needs on a particular dimension in order to be powerful for a particularly lucrative part of the population. In this case, these innovations or often overtaken by subsequent innovations that lower the performance on that dimension in order to raise it on other dimensions (example: Lower flexibility of a software product but raise the simplicity), these innovations can then "disrupt" the original innovation. The Gartner Hype Cycle describes a particular way that the media over-inflates people&apos;s expectations of new innovations in comparison to how evolved they actually are for a particular market segment&apos;s needs. The Windermere Buying Hierarchy describes four different improvement focuses that an innovation optimizes over time. First, it&apos;s trying to solve for functionality, then reliability, then convenience, and finally price. 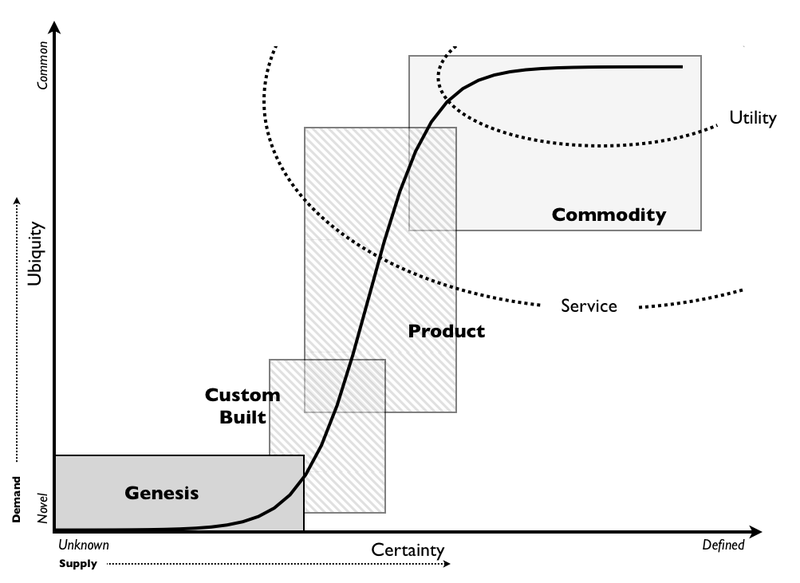 This loosely maps to the stages of Wardley Evolution. S-curves and s-curve patterns are a useful tool for quickly analyzing systems, particularly when looking at diffusion of trends and evolution of innovations. They can heuristically identify solutions and probabilities that would otherwise be quite time consuming to figure out using something like a full system or functional analysis. Hopefully you find this tool useful in your quest to understand all the things. This post reminded me of another great post that delves more deeply into the S-curve phenomenon, Invisible Asymptotes. It's written by someone who was involved with Amazon in their early days, as they found their growth slowing and needed to predict what was the next bottleneck to their growth as they went through the S curve cycle. For me, in strategic planning, the question [ was to flush out what I call the invisible asymptote: a ceiling that our growth curve would bump its head against if we continued down our current path. It's an important concept to understand for many people in a company, whether a CEO, a product person, or, as I was back then, a planner in finance. Fortunately for Amazon, and perhaps critical to much of its growth over the years, perhaps the single most important asymptote was one we identified very early on. Where our growth would flatten if we did not change our path was, in large part, due to this single factor. We had two ways we were able to flush out this enemy. For people who did shop with us, we had, for some time, a pop-up survey that would appear right after you'd placed your order, at the end of the shopping cart process. It was a single question, asking why you didn't purchase more often from Amazon. For people who'd never shopped with Amazon, we had a third party firm conduct a market research survey where we'd ask those people why they did not shop from Amazon. Both converged, without any ambiguity, on one factor. You don't even need to rewind to that time to remember what that factor is because I suspect it's the same asymptote governing e-commerce and many other related businesses today. People hate paying for shipping. They despise it. It may sound banal, even self-evident, but understanding that was, I'm convinced, so critical to much of how we unlocked growth at Amazon over the years. People don't just hate paying for shipping, they hate it to literally an irrational degree. We know this because our first attempt to address this was to show, in the shopping cart and checkout process, that even after paying shipping, customers were saving money over driving to their local bookstore to buy a book because, at the time, most Amazon customers did not have to pay sales tax. That wasn't even factoring in the cost of getting to the store, the depreciation costs on the car, and the value of their time. People didn't care about this rational math. People, in general, are terrible at valuing their time, perhaps because for most people monetary compensation for one's time is so detached from the event of spending one's time. Most time we spend isn't like deliberate practice, with immediate feedback. Wealthy people tend to receive a much more direct and immediate payoff for their time which is why they tend to be better about valuing it. This is why the first thing that most ultra-wealthy people I know do upon becoming ultra-wealthy is to hire a driver and start to fly private. For most normal people, the opportunity cost of their time is far more difficult to ascertain moment to moment. You can't imagine what a relief it is to have a single overarching obstacle to focus on as a product person. It's the same for anyone trying to solve a problem. Half the comfort of diets that promise huge weight loss in exchange for cutting out sugar or carbs or whatever is feeling like there's a really simple solution or answer to a hitherto intractable, multi-dimensional problem. Solving people's distaste for paying shipping fees became a multi-year effort at Amazon. Our next crack at this was Super Saver Shipping: if you placed an order of $25 or more of qualified items, which included mostly products in stock at Amazon, you'd receive free standard shipping. The problem with this program, of course, was that it caused customers to reduce their order frequency, waiting until their orders qualified for the free shipping. In select cases, forcing customers to minimize consumption of your product-service is the right long-term strategy, but this wasn't one of those. That brings us to Amazon Prime. This is a good time to point out that shipping physical goods isn't free. Again, self-evident, but it meant that modeling Amazon Prime could lead to widely diverging financial outcomes depending on what you thought it would do to the demand curve and average order composition. To his credit, Jeff decided to forego testing and just go for it. It's not so uncommon in technology to focus on growth to the exclusion of all other things and then solve for monetization in the long run, but it's easier to do so for a social network than a retail business with real unit economics. The more you sell, the more you lose is not and has never been a sustainable business model (people confuse this for Amazon's business model all the time, and still do, which ¯\_(ツ)_/¯). The rest, of course, is history. Or at least near-term history. It turns out that you can have people pre-pay for shipping through a program like Prime and they're incredibly happy to make the trade. And yes, on some orders, and for some customers, the financial trade may be a lossy one for the business, but on net, the dramatic shift in the demand curve is stunning and game-changing. The article is quite long (this lengthy excerpt is, like, just the prologue). The post covers a number of interesting areas. I wanted to work in this idea of getting ahead of constraints but it didn't really seem to fit anywhere. I agree Eugene is among my top 3 business strategists to follow online and I learned a lot about how to think about strategy by reading his blog. Idea - a thread for the best blogs to follow on every subject. 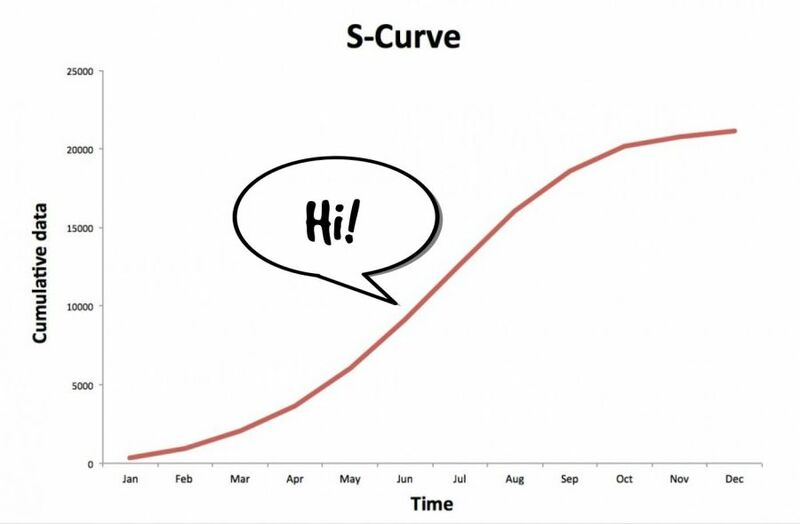 Sometimes, people get confused and call S-curves exponential growth. This isn't necessarily wrong but it can confuse their thinking. They forget that constraints exist and think that there will be exponential growth forever. When slowdowns happen, they think that it's the end of the growth - instead of considering that it may simply be another constraint and the start of another S-Curve. This is obvious in hindsight, but I hadn't put my finger on it. Plus one on that point. In once sense though it seems a rejection of, what I will call, the S-Curve mentality. That would be the thinking all growth always plateaus (and it seems that is a dominant view in terms of economic growth there -- developing economies can grow faster then developed economies so all these fast growers are doomed to the fate of Japan, Europe or the USA). That thinking can lead to acceptance rather than effort to overcome some current limitation/constraint. How do I know when some trend isn't made of S-curves? How do S-curves help me make predictions, or, alternately, tell me when I shouldn't try predicting? Is this falsifiable? Innovation research is notoriously hard to falsify and subject to just-so stories and post-hoc justifications. One of the things I find compelling about S-curves is just how frequently they show up in innovation research coming from different angles and using different methodologies. Everett rogers is a communication professor trying to figure out how ideas spread. So he finds measurements for ownership of different technologies like television and radio throughout society. Finds S-curves. Clayton Christensen is interested in how new firms overtake established firms in the market. Decides to study the transistor market because there's easy measurements and it moves quickly. Finds S-curves. Carlotta Perez is interested in broad shifts in society and how new innovations effect the social context. She maps out these large shifts using historical records. Finds S-curves. Genrich Altshuller is interested in how engineers create novel inventions. So he pores through thousands of patents, looks for the ones that show real inventiveness, and tries to find patterns. Finds S-curves. > How do S-curves help me make predictions, or, alternately, tell me when I shouldn't try predicting? > How do I know when some trend isn't made of S-curves? I think understanding how to work with fake frameworks [LW · GW] is a key skill here. Something like S-curves isn't used in a proof to get to the right answer. Rather, you can use it as evidence pointing you towards certain conclusions. You know that they tend to apply in an environment with self-reinforcing positive feedback loops and constraints on those feedback loops. You know they tend to apply for diffusion and innovation. When things have more of these features, you can expect them to be more useful. When things have less of these features, you can expect them to be less useful. By holding up a situation to lots of your fake frameworks, and seeing how much each applies, you can "run the Bayesian Gauntlet" and decide how much probability mass to put on different predictions. This was a great explanatory post, that distilled a lot of complex ideas into something short and accessible. I've curated it. A minor thing that would have improved it is, for the various types of curves (especially ones named after people), it might have been nice to link to an existing canonical reference for that idea, that covers it in more depth or at least gives a sense of how other people have thought about it.